Picked up the Easy Way Cyling map for Crawley the other day. It’s a really good, handy sized map of the town centre cycle paths. 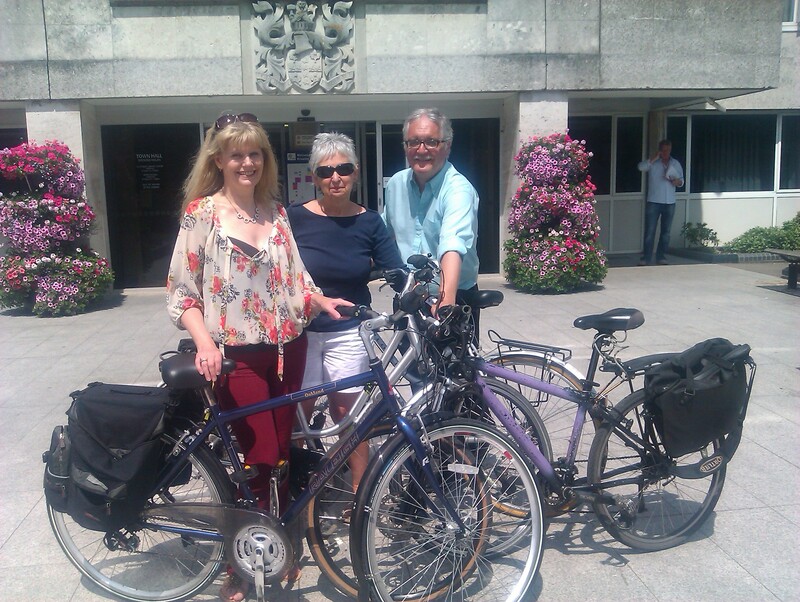 I called Kay Wagland, one of the people at the council responsible for promoting cycling in Crawley and as a result found myself invited along to a trial ride with one of the councillors. She’s the glam looking one in the pic. It was a really fun day, I ran a haiku competition, met people from the Crawley and Horsham Writers Circles and I (or should I say Daisy) sold 6 of my books – result! !